How do we help young children develop a love of story, ownership of story language, a profound understanding of story structure and a repertoire of rich language? All young children like to listen to fairy tales and other traditional stories, but do they really understand them or are they just responding to the adult reading or telling the tale? Sometimes what we read is interesting, but also incomprehensible, for children. We need to ensure that the child is, in fact, following the story. If you tell stories often enough then gradually understanding will come. But how can you, without pushing your child, speed up this process, so that they can internalise the ability to comprehend stories at a much deeper level more quickly and boost their own language skills simultaneously? Traditional stories like The Three Little Pigs, Goldilocks and the Three Bears, Little Red Riding Hood, The Magic Porridge Pot, The Three Naughty Puppies, Three Billy Goats’ Gruff and The Enormous Turnip, to name just a few of the typical ones available in the English language, all contain repetitive structures that help build a love of story language and enable a child to join in, as well as hold in mind the story structure – a very important skill to develop. There are many activities you can do around any of these stories, from ‘story baskets’ to role play, but to maximise the learning opportunities that these provide for your child, consider what those activities will actually achieve and how you could extend them further. However, 30-plus years of research and practice by esteemed developmental psychologists on how young children can best secure outstanding cognitive, communicative and self-regulative skills, has highlighted that there is much more that you can do to help your children master what we call ‘Story Grammar’ – as well as to boost their overall intellectual development at the same time. Key to Learning’s Story Grammar module starts by providing a rich emotional experience of the story to ensure that the storyline becomes apparent to the child. It then uses an extremely effective process called ‘Visual-Spatial Modelling’ to help young children to understand the content and sequence of events in a story, and to identify the relationships between characters. With this modelling technique, substitute shapes are used to help children to create a mental link between the real object and the geometric form. This allows young children to hold in their hands the objects and characters that appear in a story – objects that are, in fact, otherwise imaginary and intangible. 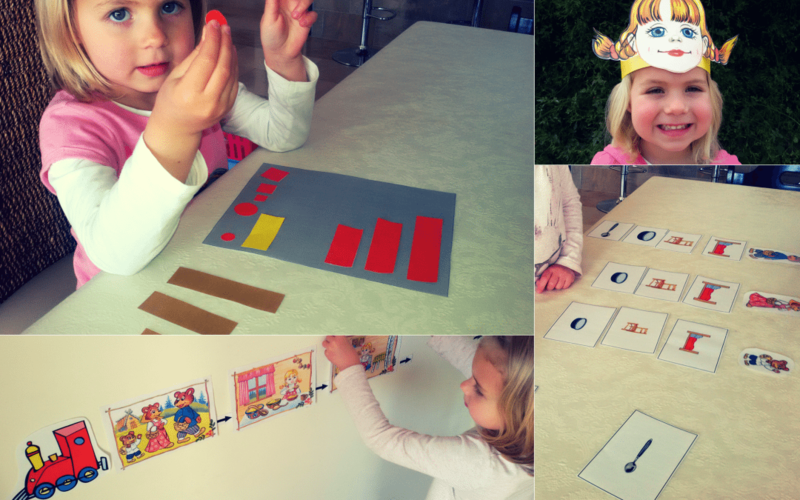 This activity is of particular benefit in developing abstract thinking skills. Using these substitute shapes and ‘Episode Models’ helps a child to analyse essential events in a story. They create a visual model of the story, using what is called the ‘Story Skeleton’, and then use that model to help them remember and re-tell it as independently as possible. Choosing and showing substitute shapes helps the child to direct and maintain their own attention. Moving the shapes allows them to re-enact the most important events of the story. These external mediators help the children to focus on, and remember, important features and key events, rather than those that are simply salient, as well as to organise their own attention and mental activity. This is why Key to Learning graduates excel in language arts, as well as in all other learning areas. The revolutionary and unique Key to Learning program secures children’s cognitive, communicative and self-regulative abilities through shared play – the learning abilities necessary for academic and life success across the board. This hugely popular curriculum is based on 46+ years of research and practice by 12 distinguished developmental psychologists and educationalists. It is already being used in specialist schools worldwide and is now available for home use too – click here to get our free sample pack and see for yourself what parents are raving about. The extraordinary, unique and proven Key to Learning @Home program – creating super intelligent, highly motivated, happy children with exceptional mental abilities, through a stunning collection of play-, game- and story-based activities, in just 20 minutes a day in your homeschool or after school.